We have a dedicated aggregate team. Tom Turner & Alan Goodwin are ready to take your call and answer your questions. They can source almost any aggregate including full loads direct to site. Alan and Tom have over 40 years of experience between them within the aggregate industry. They can source loose loads direct from the quarry in 8 wheeler tippers, articulated wagons and where space is tight 6 wheeler and 4 wheeler vehicles are sometimes available. Tarmacadam, Road Plainings and Subbases. We can source a huge range of aggregate for roads, carparks, driveways etc please give us a call and we will do our best to help at competitive prices. Our road plainings are ex motorway and are good quality. Concrete direct to site as full loads or in mini mix vehicles. Blue Circle Cement in plastic bags 25kg. Fill the hole 1/3 to 1/2 with clean water and pour in Postcrete evenly around the post until dry powder is visible on the surface, no mixing required; Postcrete sets in 10 minutes and comes in handy 20kg weatherproof, tear resistant plastic bags. Remix is suitable for use in fixing all types of wooden, metal & concrete posts. The mix is kiln dried, pre blended & factory produced. We find it its not as quick to set as the Lafarge but the price is very favourable for a good quality product. We can offer limestone stock dust 0-4mm in bulk bags and as full loose loads direct to site. A golden 10mm to dust gritstone that is idea for paths. We have even supplied this to many National Trust properties as it is aesthetically pleasing, good value for money and compacts well. We can source sand for arenas, long jump pits and play pits to order as well as other surface aggregates. All the sub base material can also be sourced direct from the quarry. We can offer limestone aggregate in small 25kg bags, bulk bags and as full loose loads direct to site. Limestone MOT and stock dust also available. Available in small bags, bulk bags & direct to site loose loads. What does MOT stand for? We offer a sand and gravel ballast in small 25kg bags, bulk bags and we can source loose loads direct to site. We can offer red building sand in 25kg bags, bulk bags and as loose loads direct to site. Our soil has gone through a screening process to remove debris stones and to break down clumps. It is reasonably sandy and is good for turf laying and planter soil. Available in bulk bags and can be sourced as a loose load direct to site. Our cold lay tarmac is ideal for filling in pot holes and for repair jobs. Available in 25kg bags. We can also offer wagon loads of Tarmacadam direct to site including binder courses and top coats. We can offer the very popular Staffordshire pink in a 6-10mm & 10-20mm size. Small 25kg bags, bulk bags and loose loads direct to site are available. Ideal for drainage and as a decorative aggregate sometimes referred to as Cheshire Pink or Pea Gravel. Available in 20kg bags, bulk bags and as loose loads direct to site. A popular pale aggregate approximately 10-20mm in size. 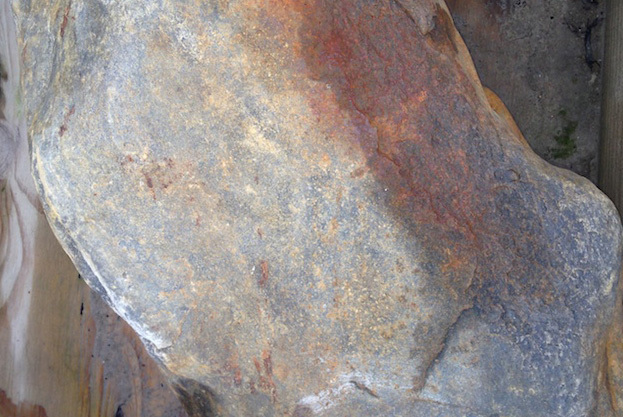 20mm red granite is available to order in 25kg bags (minimum order applies) bulk bags and as loose loads direct to site. We can offer blue & plum slate in 25kg bags, bulk bags and as full loose loads direct to site. A natural mix of light pink, cream and white angular chippings. This is a recycled product made from off cuts of marble. Sourced to order in 25kg bags (minimum order applies) bulk bags and loose loads. We stock silica sand in 25kg bags but we can source bulk bags and loose loads if required. Ideal for the gaps in black paving. We can supply bulk bags and loose loads of bark. Our mulch is ideal for topping off garden boarders or planters. The play grade bark has been screened and is approximately 5-35mm. Our play grade bark consists of strips rather than ‘nuggets’ so it is nice and soft to land on. We can also source a wood chip bark if required. 20mm moonstone is available to order in 25kg bags (minimum order applies) bulk bags and as loose loads direct to site. We can offer the very popular golden gravel in a 6-10mm & 10-20mm size. Small 25kg bags, bulk bags and loose loads direct to site are available. 20mm green granite is available to order in 25kg bags (minimum order applies) bulk bags and as loose loads direct to site. Scottish pebbles are a premium rounded pebble in grey, brown and red colour tones. Available in small bags (minimum order applies) bulk bags and loose loads. We can source Scottish, glacial boulders, rockery stone and large aggregates for a verity of projects. Dolomitic marble in a crisp white and rounded finish. 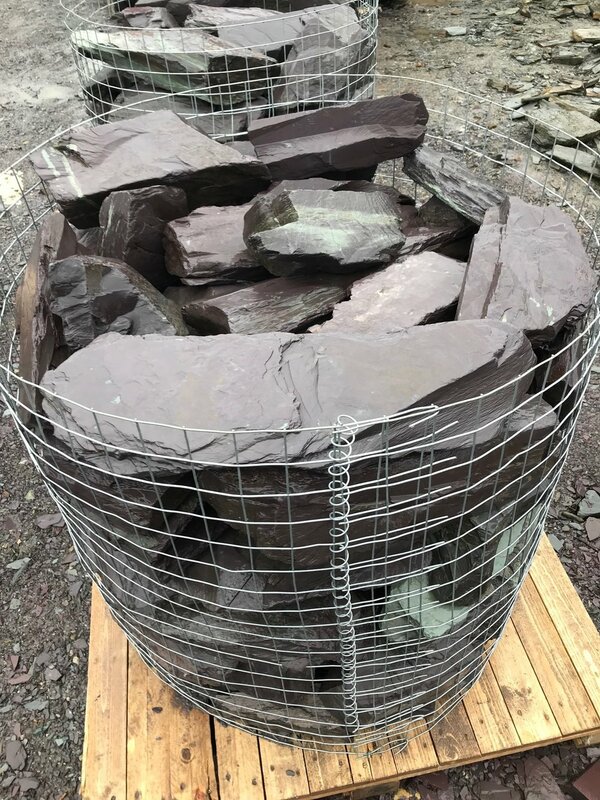 We can source rockery, boulders an chucks of slate direct from the quarry in pallet lots.